The Centre for Law and Democracy (CLD) has released an Analysis of Ghana’s 2018 Right to Information Bill, which is now before parliament. The Analysis welcomes the fact that Ghana is finally moving forward to adopt this key piece of democratic legislation. At the same time, it highlights a number of weaknesses in the Bill, which would only be in 49thplace globally according to the RTI Rating. The lack of any proper definition of the key notion of a ‘public institution’. An unduly limited set of proactive publication obligations. Procedural problems such as a requirement to pay a fee simply to make a request, no obligation to provide a receipt for requests and some unclear time limits. A significantly overbroad regime of exceptions which does not override secrecy laws and which includes both illegitimate exceptions and exceptions which do not depend on a risk of harm. Protection of the independence of the Information Commission could be improved, in particular by reducing the role of the President in appointing members. The lack of a proper system for promoting better records management. CLD urges the Ghanaian authorities to incorporate our recommendations into the Bill before it is passed, so as to bring it more fully into line with international standards. 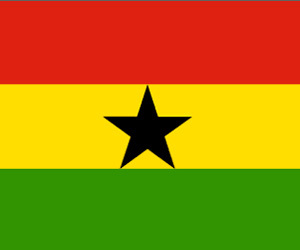 The Analysis is available here: Analysis of Ghana’s Right to Information Bill.